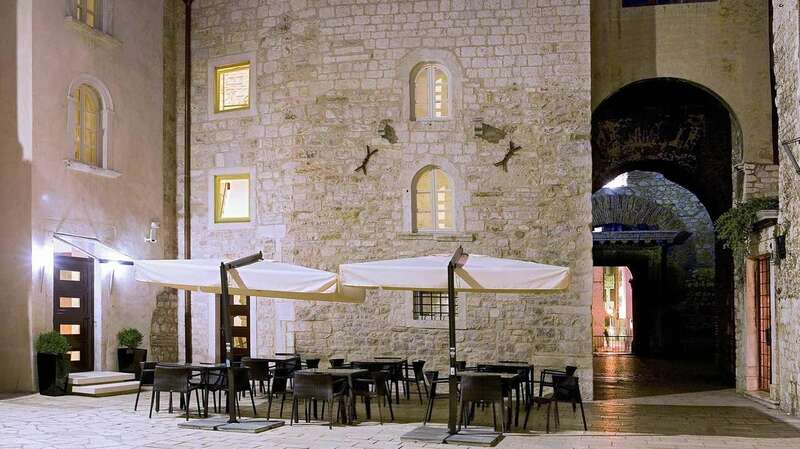 A luxury boutique hotel located in the very heart of ancient Diocletian's Palace, Vestibul Palace has 1,700 years of Split's history right outside the door. You are surrounded by ancient Roman walls and the main city sights like the Peristil, Saint Duje Cathedral and the Riva promenade which are only a few steps away. History, emanating from every corner of the hotel, a modern and minimalistic interior and a high level of comfort will make your stay unforgettable.